Often a film can become so legendary and critically acclaimed that you remember it quite differently to how it actually is. 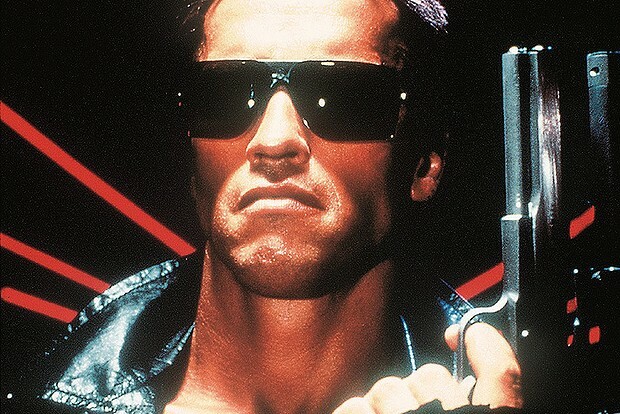 The Terminator is one such film. It is a movie that I remember really enjoying and thinking was absolutely brilliant but as I watched it again, soon realised that maybe it isn’t the amazing movie I remembered and most people claim it to be. Don’t get me wrong, it is great. There are some iconic, incredible moments. The casting for a start is perfect. Michael Biehn is the everyman hero this movie needs and manages to hold his own against the unrelenting machine. You also see Linda Hamilton’s Sarah Conner get stronger, braver and hold her own as the events of the movie play-out. Of course, it is Arnold Schwarzenegger that gets the special mention. This is the movie that launched his superstar, action movie career and it all comes down to his perfect depiction of a killer robot. The way he unflinchingly takes out anyone in his way, guns down and reloads without a pause and says just enough to get his message across, are all indications that Arnie is much better an actor than many would give him credit for… it does help that he says very little and relies mostly on his action credentials. It doesn’t really offer much more on top of that though. It is, simply put, a chase movie. Conner and Biehn’s Kyle Reese just run as The Terminator chases them. This is great at times and in places is very exhilarating. The first major chase, with Arnie on a bike and our heroes in the car trying to get away is very action packed. In fact, each time The Terminator is on-screen and chasing, the film works really well and is very exciting. The moment you take this aspect away, especially the scenes involving just Connor and Reese, the movie begins to drag and lose its direction. It also hasn’t aged as well as you’d hope. Some scenes still stand-out. Arnie performing self-surgery will still make people’s stomach turn, especially as it involves eyes, but at times you can “see the strings.” The scenes in the future are not as convincing or exhilarating as they are supposed to be either, taking the focus away from the more interesting story in the “present.” The same can be said for the final scenes involving the stripped back and bare Terminator. It just doesn’t seem as scary as it should anymore and ruins the potential reveal. It doesn’t take away too much from the great chase through the generic factory. 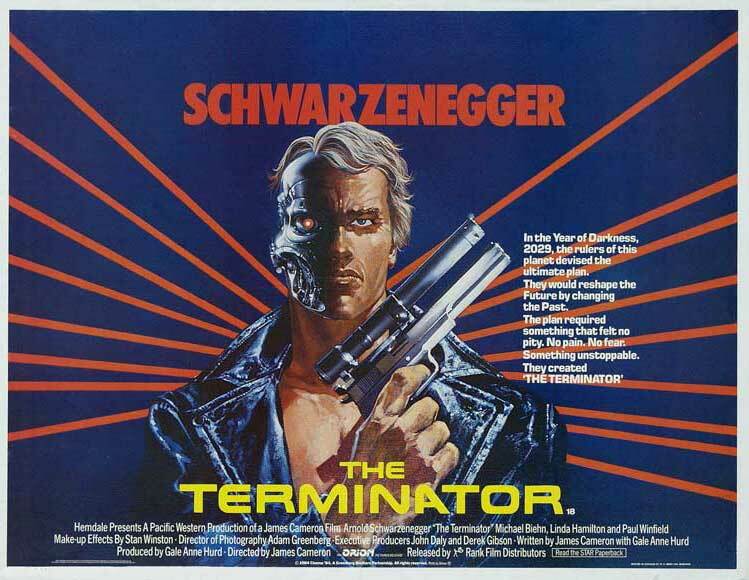 The Terminator is unstoppable and this is portrayed great in the finale of the movie – particularly with the final moments involving Connor’s last stand. It is these scenes that demonstrate how great Terminator is, if it wasn’t for the fact movies have moved on too far for it to be convincing anymore. Overall, The Terminator starts off the franchise very well and delivers a quite complicated story in a simple and focused way. Unfortunately, it is sometimes too simple and it soon becomes apparent that this movie is nothing more than an elongated chase-sequence. Sometimes this chase is great but then at times it slows and plods. Add to this the fact that the effects haven’t aged well and the movie just doesn’t quite live up to the outstanding description people remember. I haven’t seen it and don’t know that I could. Thanks for the fair assessment. For 1984 and being a lower budgeted movie, it stood out for its time. But it hasn’t aged all too well. I think the 2nd one holds up better. 2nd one is a huge leap forward compared and the effects in that are still great considering when the movie was made. Its hard to harp on special effects from 30 years ago, but I see what you’re saying. As for the “doesn’t offer much more”, I dont think it needs to. I think the streamlined story with a complex premise behind it is enough. I only mention the effects because they play such a major role in the movie – particularly the ending. The way they deliver the story and the chase element is also great – but just not as great as the movie people seem to remember. This one holds a special place for me so despite the technology not holding up it’s still one of my favorites in the genre perhaps even moreso than the sequel. I think the second manages to outdo this comfortably. I see The Terminator as a good foundation for a much better movie later. Previous Previous post: Forget Superhero fatigue – why do we still watch biopics?